In my experience, trees never fall where convienient. A windstorm a few weeks back dropped an elm on a picturesque 5-strand barbed wire fence of mine. In the couple week break from school, I took the initiative to clean up the fallen trees from my pasture and cut some new fence posts. It wears you out. Shoulders, back, arms, core…it is a full body workout especially for a skinny armed, outta shape guy. Time slows down and drags on…Einstein must have been chopping wood when the Theory of Relativity hit him. Activity and Achievement aren’t necessarliy synonymous. You can wander around, stack wood, pet the dog, move the truck, but none of these things makes the pile any smaller…what does? Every swing of the axe…only when splitting wood are you actually splitting wood. There have been times when chopping wood, that the job seemed endless, the destination seemed unlikely, and the ending point unattainable. The people of Isreal felt that way about their expedition. Fresh off their march through the Sea and into the desert where Pharoah had no jurisdiction, the People of God experienced their first freedom in years. They were on their way to the Promised Land, but they didn’t know how fast they were going to get there. When they were following a cloud and fire, the Presence of God, but didn’t know the route He was taking them. They were one of Heisenberg’s particle’s, knowing where they were or how fast they were going, but never both. This uncertainty (lack of trust on their part) and desire for comfort, led to some tense moments on the way. For three months (Ex. 19.1) they marched and camped trying to learn the concept of “chopping wood”. When chopping wood its best not to think about how much is left, how fast (or slow) your going, or when you are going to get done. The way to go about it is to just keep chopping. Through the cold wind, blistered hands, sore back, and tired limbs…just keep chopping. If it doesn’t get done today, you will still have to chop tomorrow. Its going to get done sometime and its going to be you who does it. May as well be today as tomorrow, so just keep chopping. Its a phrase Bill Snyder uses to teach his football team, its a phrase my grandfather would tell me, and its a phrase I had to keep telling myself this past year. Grumbled [lun] against Moses about water. (Ex. 15.24) Five times before they reach Sinai in Exodus 19, the people would grumble about their situation. Every step of the way they would have a problem with what was happening. This word comes up constantly in their 40 years of wandering as well. God turns the bitter water, the cause of their grumbling, sweet by having Moses throw a piece of wood into it (the word for “showed” [yara] indicates God gave Moses directions about the piece of wood). God heard their cry and provided. But then He did one better. He led them to Elim where they would have spring water to drink…an oasis on their trip. They wanted sweet water…he gave them abundant spring water. Grumbled [lun and telunnot] about food. Eight times in chapter 8 the Israelites were either grumbling or being described as grumbling. They had plenty of food in Egypt (Ex. 16.3) but now in the desert they were hungry. Again God answered and gave them quail and manna. But even with His provision, some of the Israelites refused to obey God’s instructions. They either kept the manna overnight (Ex. 16.29), an instance of not willing to trust God’s provision for tomorrow, or tried to gather manna on the Sabbath (16.27), an instance of not following instructions. Quarreled [rib] with Moses about water, but this time its not bitter water, but the lack of water. They’ve been on their own for 2 1/2 months and things are a little rougher than they thought it would be. It was here, at Meribah, that Israel “tested” [nasa] the Lord. In the same way God asked Abraham for his son Issac (Gen 22.1), Gideon “tested” God with his fleece (Judges 6.39), and the cheif official of Nebuchadnezzar “tested” Daniel, Hananiah, Mishael and Azariah with the vegetalbes, so here does Israel test the Lord. Questioning and Observing who God is. Battled and fought the Amalekites and won because the arms of Moses were held up. It was such an incredible victory that the Lord told Moses to “write this on a scroll as something to be remembered [zakar]…” (Exodus 17.14) To remember is something that will become vital to these people, as is evident from the use of the word zakar in Deuteronomy, especially as take control of the promised land. Learned to act in accordance with God’s law. Moses had been carrying the people ever since he returned from Midian. When his father-in-law showed up and saw all that he was doing, he advised Moses: “What you are doing is not good. You and these people who come to you will only wear yourselves out. The work is too heavy and you cannot handle it alone…Teach [zahar] (or warn) them the decrees and laws, and show [yada] them the way to live and the duties they are to perform.” (Ex. 18.18-20) For Moses it was about learning to let go and for the people it was about taking hold. So many lessons to learn in the three month journey of the infant nation. At Sinai, Israel would get the brunt of their teaching from the Lord, but the lessons would stick with them for the next 40 years. The main lesson that would serve the People would be this: keep chopping wood, keep moving forward, keep learning, keep growing. It was clear they couldn’t go back, so ahead was the only option. Keep chopping wood. 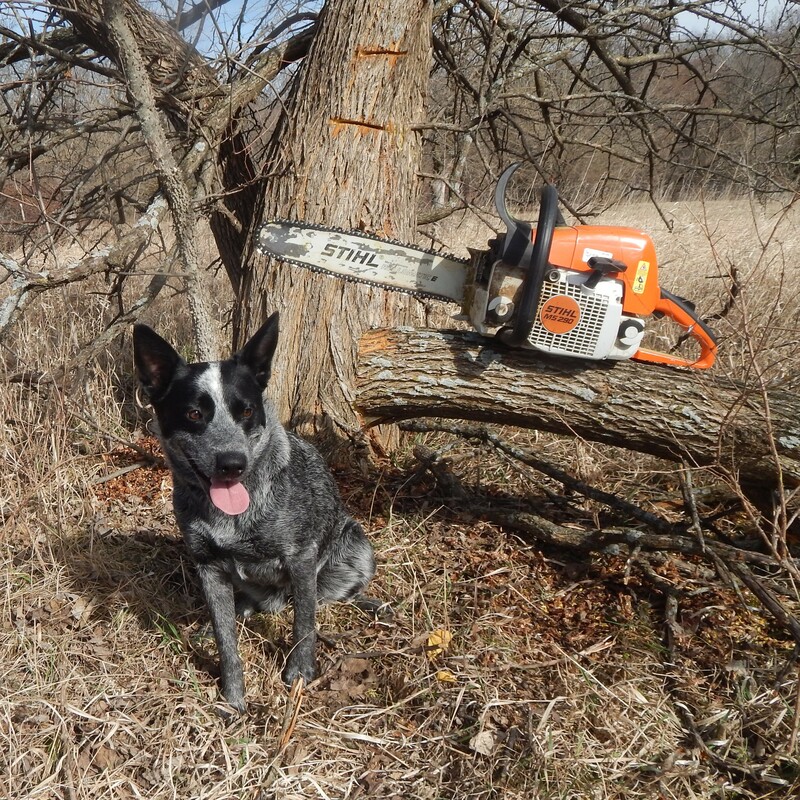 Looking back 2014 was a wood choppin’ season for me. Getting let go from the church, being lied about and too, losing friends and relationships that were 7 year investments, and the shame of both made for a very long year. But the only thing to do was to keep chopping wood. Somethings went incredibly well like getting to speak at camps, the buckle that I received from the kids and families of the CY, and the chance to fight bulls at some really cool places and with some awesome people. Even when things are going well, keep chopping wood. In the best of times and the worst of times, the infant nation of Israel shows us to keep chopping wood. Perhaps 2015 will bring the end of the stack, the bottom of the wood pile. Maybe not. But it doesn’t really matter because all you can do is keep choppin’ until you arrive! I was driving home tonight with a couple of rodeo kids when the topic of “what drives you?” came up. It was in the midst of a discussion about what causes us to do the things that we do. “Sometimes we do the things we have to do, to do the things we want to do” kind of conversation. I want 2015 to mean something. I want to thrive in 2015 which means “why I do what I do” needs to be at the center of everything that happens. I have known both of these students for a time. I love both of these kids. One did what they did because of the relationships that they have. They know they are a role model, that people look up to them and they perform because others are counting on them to do so…a noble task. The other did what they did because they loved it. It was an accomplishment, a pride, that drove them to success and helped them persevere. What makes me do what I do??? The answer was easier when I was in full time (paid) ministry, but tonight it just kind of spilled out. I do what I do because of tonight. Two students sharing their dreams and their lives with me on a drive home from pizza. Hearing about a young woman buying the Percy Jackson books for her “little” brother (through Big Brothers/Big Sisters) is why I do what I do. Getting to hear about a kid working out everyday so that he can ride bulls better; learning how to ranch from his father; building towards what he wants to do…is why I do what I do! I do what I do because I work with some of the best kids I have ever known and Jesus is working in their hearts which, in turn, works on mine! A song communicates and celebrates more than words alone. The melody mixed with lyric has a way of telling a story in technicolor. or honoring a significant event: Freckles Brown and Tornado; July in Cheyenne. Its in our human nature to sing when things are going well, when things are falling apart, or when words alone just wont do. So when the Hebrews stood on the far side of the Red Sea, having watched their God let loose of the walls of water, drowning the Egyptian Chariots, their first thought was to sing. When God acts, the people sing. So goes the expression in Scripture. They would sing again in Numbers 21 after years of marching through the desert and God leads them to water (Num. 21.17). Moses would lead them in song again at the end of his life. What sums up a life begun in a basket in the Nile, forged in the Deserts of Midian, standing before the most powerful man in the world, and leading a million people to freedom? A song that God gives him (Deut. 31.19; Deut. 32). The people would sing of God’s goodness (Ps. 13.6); songs of his strength (Ps. 59.16); songs of his love (Ps. 89.1); songs of his love and justice (Ps 101.1); and songs of his wonderful acts (1 Chron. 16.9). Confession: I don’t sing much anymore…and I haven’t sang in quite sometime. People closest to me think its the holidays that I dislike, but it has been years since I sang. I look for the things that God has done and search for the things that speak of His love and justice but can’t see them lately. If the story of the Crossing of the Red Sea was a play, the Israelites would have two speaking parts: the lengthy song of celebration about the Lord’s deliverance by parting the waters (Ex. 15.1-18) and the complaint that began the narrative (Exodus 14.11-12). When the Israelites questioned what God was doing, their first thought was to complain. Complaining is a selfish act. It focuses on the complainer at the expense of everything surrounding it. Compliaing looks out for its self, where as Singing looks outward. A celebration of what is beyond the Ego. So how does complaining in Exodus 14 become singing in Exodus 15…witnessing the action, activity, and power of God at the Red Sea! How does our complaining become celebration, our problems and selfishness become singing, by searching out and finding the power of God in action around us. By looking for His love, His goodness, His justice, His mercy. When we understand and dwell on His deliverance of us from sin and death our complaints will turn to song. When we think about what Jesus on the cross, the salavtion He provided for us through His son, our complaints will turn to melody. Songs really do convey more than mere words…may my words of complaint be turned to song! How often do you sing? To give direction through nature’s wrath. Was all I needed to get through. 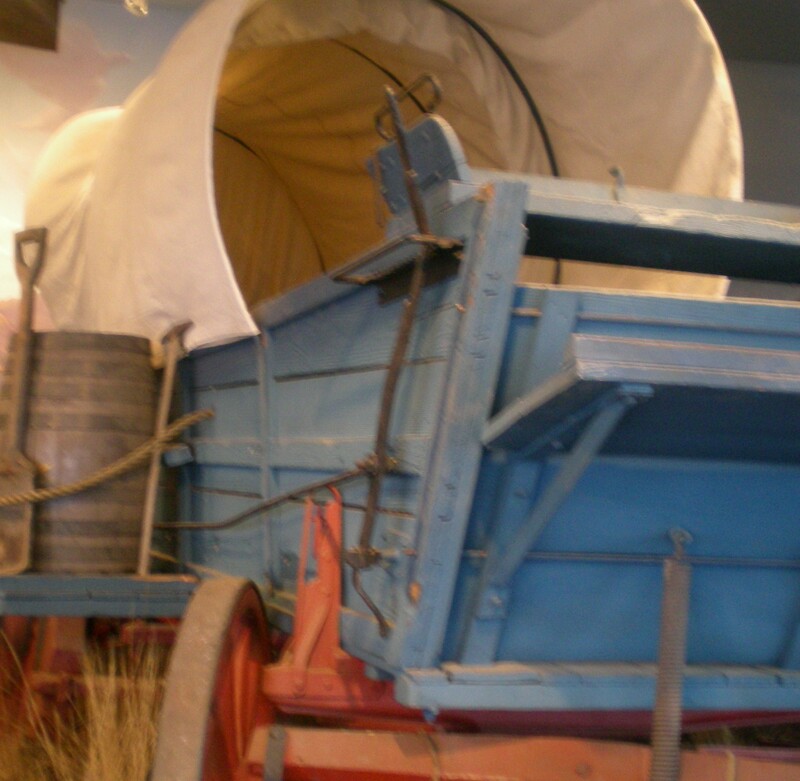 The lantern that hung from the back of the Chuck wagon saved many cattle drives. During the toughest times on the prairie, the lantern gave light as it swayed along with the wagon. It bounced along, piercing the darkness and giving direction to the men. Its a story older than the days of the cowboy. When Pharaoh heard that his slave force had “fled” (more on this later), he and his officials were not happy. He ordered his chariot ready and took off after the fleeing slaves, catching up with them at Pi Hahiroth. (Exodus 14.9) The Israelites cried out to the Lord (more on this later too), wishing to go back to Egypt. 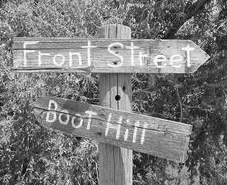 God’s preposition then changed. Instead of being in FRONT, the Lord went BEHIND the people (Exodus 14.19-20), shielding them from the advancing Egyptian Chariots. Pharaoh was stuck in darkness, yet the way for the Hebrews was illuminated. God’s protection of His people, meant he stood BEHIND His people and BETWEEN them and their enemies. Fourteen hundred years later, on another dark night, God wasn’t IN FRONT or BEHIND, but WITH. And in that darkness, “the true light, that gives light to every man was coming into the world.” (John 1.9) The darkness was pierced that night, not by a pillar of fire or an illuminating cloud, but a “light” sent from heaven to be WITH His people. His name was Immanuel meaning “God With Us”.(Matt. 1.23) It is a powerful prepositional change. WITH conjurs up images of suffering alongside, feeling the same pain, understanding this world the same way we do, and feeling both the highs and the lows of life. WITH means he filled his diapers, cried when hungry and hurt, celebrated birthdays, and learned to crawl, walk, and run. WITH means he worked, relaxed, worshiped, and suffered: Oh the power of WITH. And on this night, Christmas Eve, we celebrate “God WITH us” and how incredible a preposition is! But “God WITH us” would change for the better 33 years later. His words, not mine. Jesus would tell his disciples: “I tell you the truth: It is for your good that I am going away. Unless I go away, the Counselor will not come to you; but if I go, I will send him to you.” (John 16.7) The Counselor is the Holy Spirit that Paul says “lives IN us”. (1 Cor. 3.16; 1 Cor. 6.19; 2 Tim. 1.14) The Spirit who lives IN us gives us comfort, courage, conviction, guidance, peace, and so much more. What the presence of God did BEFORE the Hebrews, BEHIND the Hebrews, AMONGST the Hebrews; what Jesus did WITH us, AMONGST us, and ALONGSIDE us; is now what the Holy Spirit does IN us. All because Jesus, God WITH us, went to a cross in our place (which is also a preposition), the Holy Spirit can dwell IN us. The power of a Prepositional God. Forgiveness is such a hard thing. 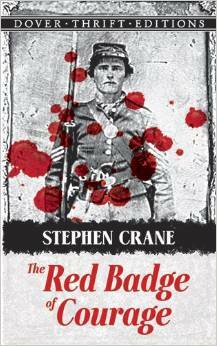 Emerson penned these words in a 1838 address that could have been the thesis of Stephen Crane’s book, The Red Badge of Courage. The story takes place during a fictional battle of the Civil War and the hours preceding it. A young Union soldier and freshly enlisted man, Henry Fleming, battles with himself and doubt before he ever encounters the Confederate army. There was a more serious problem. He lay in his bunk pondering upon it. He tried to mathematically prove to himself that he would not run from a battle…here he was confronted with a thing of moment. It had suddenly appeared to him that perhaps in a battle he might run. He was forced to admit that as far as war was concerned he knew nothing of himself. On the eve of his first battle, Henry Fleming doesn’t know how he will respond in the face of adversity, struggle, and conflict. The question of “do I have what it takes?” faces men of all ages at one time or another. What I find interesting is that, no matter how many times we answer that question, it still faces us. After 10 times of prevailing, taking courage and overcoming the struggle, it awaits us at the next issue that we come to. It is a question that must be answered everyday, every battle, and every step of the journey. When the Israelites began their journey to the promised land, God saw the question that plagued Flemming in His people. The Philistines controlled the land along the coast of the Mediteranean sea. Had the Hebrews followed the coast out of Goshen and then north toward Canaan, they would have been on a collision course with the Philistines, the southern Sea Peoples who had established themselves and their culture just south of Canaan. Their role as the antagonist of Israel would have to wait until after the Egyptians time ran out. God instead led them out of Goshen to the south-east, towards the Red Sea for a couple reasons. First off, God was aware of the questions that would be in the minds of the Hebrews. “If they face war, they might change their minds [hb. yinachem] and return to Egypt.” (Ex. 13.17) Moses, under the guidance of the Holy Spirit, uses the hebrew word, n-ch-m to explain the mindset and will of the Hebrews. The verb means to be comforted or grieved; to relent or to have compassion. God knew that the people, who had cried out for deliverance since Exodus 2, would change their minds, feel compassion toward the land of Egypt and desire to return to a life of comfort yet oppression as opposed to a life of freed but struggle. The form of the verb shows also that the people will have their mind changed not from within but from without. The Niphal verb stem in hebrew shows a passive voice indicating that someone or something, changed their minds…in this case it would be the Philistines. God took them the long way around, to keep their minds focused forward towards the land they were going too, not the people in their way. Even though they left Egypt “armed for battle” (an ambiguous term that some have argued would be better translated as “a fifth” even though it makes little sense contextually), God is handling his people with gentle hands knowing that they are young and tender. It is as if God is putting the Hebrews in position to live out 1 Corinthians 10.13: “…God is faithful; he will not let you be tempted beyond what you can bear.” In this situation, as well as 1 Cor. 10, God provides a way out. In this case it is the desert road. Finally, this route was taken for a Spiritual reason. Whereas the norther route/the way of the Philistines, led to the promised land, the southern route, led to Sinai, but first through the Red Sea. For the rest of the Old Testament, God would remind the Hebrews of his work, on this day, at the Red Sea. For the next few weeks and months, they would travel towards Sinai, the Mount of God, inorder to receive the law, and be reintroduced to their Lord. The northern route led to the destination, but as we have found out, God is more interested in the journey than the destination. God wants his people at Sinai for a greater purpose than he wants them in the promised land right now. God knew the question that both men and nations face…am I, are we, enough? So God put on his delicate gloves as he dealt with his people at the beginning. As we ponder God’s works prior to the crossing of the Red Sea, it impossible to not notice that God wants to see his people succeed. He wants to see His people receive good things. A war/battle at this point (2 months later is a different story) would be a huge setback in the future of the people. God knows that the questions that haunt us are better answered with experience, and the experience he is setting up for his people will be unforgettable. Just as Henry Fleming could only answer his questions in the struggle, so Israel will soon understand itself and its God better than ever.